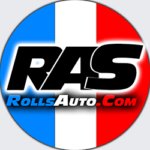 Short Business Description: Roll’s Auto Sales has been an essential part of the Mayfair community of Northeast Philadelphia for over 16 years now. As it stands, we are the oldest standing certified pre-owned car dealer in our area. Having the most experience with our customers, we understand what means the most to you. That is why we pride ourselves in having the largest selection of certified, pre-owned vehicles in the Philadelphia area and being the #1 Home of EZ Finance that provides financing for people with varying credit grades.